Now infinix is to launch a new device Infinix Wefie, after the release of Infinix S2 pro. Infinix Wefie is just a name change from Selfie to WEFIE. 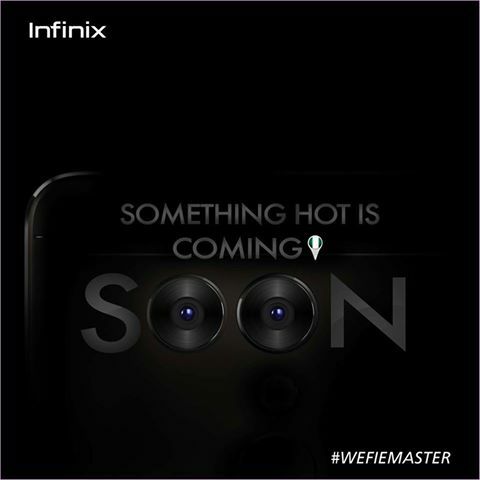 Infinix Wefie Specification is unknown yet but it is said to come with something hot. Infinix boasted that with the Infinix Wefie you would be able to capture selfies or wefies with a wide angle dual camera in front or behind. Infinix on it’s facebook page claims it is the world’s first ever Wefie smartphone. From images seen, you can decipher that the infinix wefie is coming with a 360 degree dual camera behind. Inifnix release date has not been mentioned but it is anticipated to be available ending. Maybe this is a means to keep it’s brnad trending in Nigerian Market as it’s competitiors like Tecno released the Camon CX and CX air which is already making waves in Nigeria. Camon CX is an android 7.0 Nougat powered phone. Read It up here.